The post-Diwali pollution has left Delhi dealing with the worst smog it has ever experienced. As the pollution results in watering eyes and tightness in the chest, many have now taken to buying air purifiers in the hope that it would provide some guard against lung-­damaging conditions. As pollution levels soared manifold beyond the prescribed limit, sales of devices for pur­ifying indoor air also jumped 50 per cent in the first week of November. Suvendu Mazumdar, national product manager of Spark international, one of the leading manufacturers of air purifiers in the country, says he is being flooded with inquiries about purifiers throughout the day. “The air situation in the country has deteriorated so much that I have people not only from Delhi, but other parts of the country too, inquiring about what type of purifier to buy,” he says. The visible pollution as well as the fog has made many people prone to asthma and all­ergies rush to to buy these devices to prevent further damage. In fact, most companies producing such devices are now marketing the air purifiers as the next big revolution since water purifiers. “Air purifiers will be the next water purifiers,” says Jayati Singh. Concerned about the impact on employees, many organisations are also rushing to install air purifiers in their premises. Several embassies in Delhi have taken measures to set up pollution-free zones within their perimeters. The German embassy, for instance, has equipped its central ventilation system to include an air filter that purifies the air. “Since December 2014, the purchase of air purifiers for the expatriate staff’s private homes has been subsidised and all embassy staff are entitled to an additional three days of leave that must be spent outside Delhi,” says a press release by the German embassy. Most multinational companies too have issued guidelines with incentives to get their employees to install purifiers at homes as well. Chattopadhyay rubbishes the Delhi government’s claims of installing air purifier systems on traffic signals as “useless”, saying the possibility of such devices working in open spaces is even less. And yet, for people living in polluted cities such as Delhi and Patna, the purifiers bring the only believable promise of respite from the deadly pollution, however temporary and limited. No wonder more and more of them are shelling out the bucks, hoping for that sliver of chance to prevent long-term health damage. An air purifier is a simple device consisting of a fan (or two) and filters. Since most pollutants are suspended particulates, these devices work by mechanically separating the pollutants by forcing air through filters. Typically, they don’t consume much electricity either, ranging from 15 to 60 watts depending on the filtration capacity and additional features. There are many different sources of air pollution and if you live in a city, chances are, you need one of these already. Breathing cleaner air helps you sleep better, improves lung function and overall health. If someone in the family suffers from allergies, one of these can be quite useful because it will remove common allergens like pollen, dust, pet hair and so on. How do you choose one? Air purifiers are rated with a coverage area (square feet). Measure your room and buy something that has a higher coverage. For instance, if your room is 300sq feet, buy something that is rated for 400sq feet or higher. There are multiple brands to choose from now and the rest depends on your budget and the kind of features you require. This depends on where you need clean air. If you’re getting just one, start with the bedroom because that’s where you’ll be sleeping and where you’ll spend the most amount of time.You can move them from room to room as required but it will take a while for it to clean a room completely. Ideally, each room needs to have one of it’s own. What kind & how many filters do they have? The primary filter you should look for is HEPA or high-efficiency particulate air filter. It mechanically separates pollutants from the air since it has multiple layers of interlocked fibers. [prisna-wp-translate-show-hide behavior=”show”]The HEPA is the most expensive type of filter. 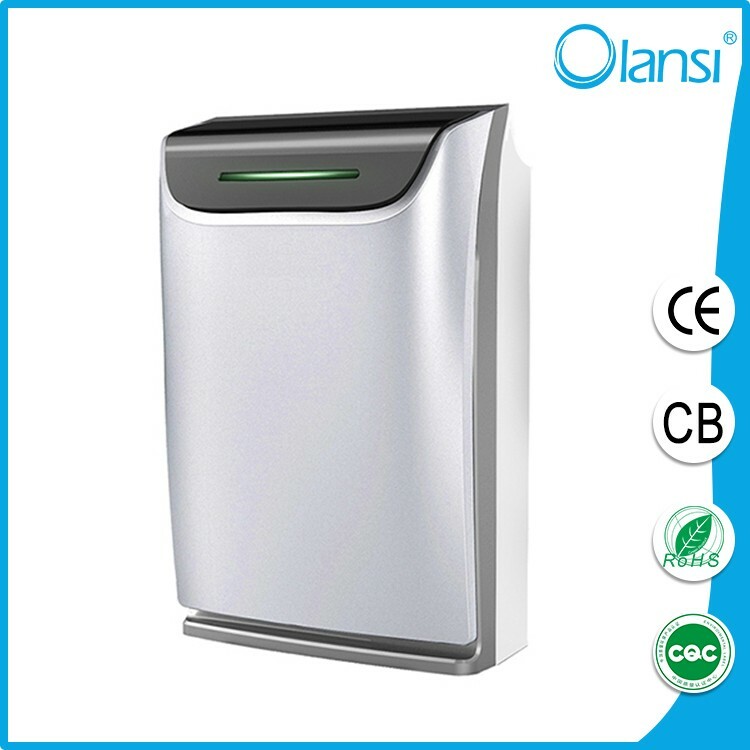 [/prisna-wp-translate-show-hide]There’s also usually a carbon filter which is used to remove odours and dissolved chemicals.Some of the devices include a washable pre-filter -this catches the larger dust particles, hair, pet dander and so on. You can periodically take it out, cleanwash it and ..
Where should you place it? Placement is important for maximum efficacy. The clean air delivery rate and effective coverage area is measured with the device in an empty room. If you place it under a table, right up against a wall or in between large pieces of furniture, the amount of air it can circulateclean is reduced. Give it enough room and it should work a lot better. Also keep in mind that they work only with closed doors windows. Filters need to be replaced periodically. This is where the recurring cost of the air purifier lies. Some air purifiers have multiple filters and some have compound filters (two or three in one). If you can, find out the cost of the filters and expected life before making a purchase. Be sure to switch off the air purifier when sweeping the room -it greatly prolongs the life of the unit. You can also use a vacuum cleaner on the front of a filter to clear off accumulated dust. An ionizer generates negative ions which claims to attract and neutralise harmful particles in the air.Some studies have shown that using ionizers can lead to breathing issues (electromagnetically charged particles can turn into Ozone) so we advise avoiding this feature. Humidifiers use water stored in a tank to boost humidity. Other things you can look for a night mode (extra quiet), WiFi and smartphone control, air quality indicator, display, remote control and temperature humidity sensors. < ..
Air pollution is not only caused by your car and bursting of crackers. Sources can include seasonal crop burning, construction, burning of fossil fuels in factories, waste landfills and even green house gas emission. Indoor air can also be worse than outdoor air because pollutants accumulate -accelerated by poor ventilation and additional sources of indoor pollution like cooking, pets and chemical cleaning products.